exercise supervision and control over the acts of the officers and employees of the Grama Panchayat including the Secretary. The Adhyaksha may, if in his opinion the immediate execution of any work or the doing of any act which requires the sanction of a Committee of the Grama Panchayat, is necessary in public interest convene a meeting for the purpose with a notice of twenty four hours. The Upadyaksha of the Grama Panchayat shall exercise the powers and perform the duties of the Adhyaksha when the Adhyaksha is absent, on leave or is incapacitated from functioning. This committee shall perform functions relating to agricultural production, animal husbandry and rural industries and poverty alleviation programmes. This committee shall perform functions in respect of education, public health, public works and other functions of the Grama Panchayat. Every Grama Panchayat shall have a whole time PDO/Secretary who shall be an officer of the Government and shall draw his salary and allowance from the Zilla Panchayat fund. The PDO/Secretary shall perform all the duties and exercise all the powers imposed or conferred upon him by or under this Act or any rules or bye-laws made there under. The Government may, by order, specify the staffing pattern, the scales of pay and mode of recruitment of staff of Grama Panchayats. The Grama Panchayat shall, subject to the sub-section(1), determine and submit for approval of the Chief Executive Officer a schedule of employees specifying the designation and grades and the salaries and allowances payable to its officers other than the Secretary required for carrying out the duties imposed upon the Grama Panchayat by or under this Act. Provided that where the state Government or Central Government provide fund for the performance of any function specified in Schedule I, the Grama Panchayat shall perform such function in accordance with the guidelines or norm laid down for performing such function. earmarking places away from the dwelling houses for dumping refuse and manure. The Grama Panchayat may also make provision for carrying out within the Panchayat area any other work or measure which is likely to promote the health, safety, education, comfort, convenience or social or economic well being of the inhabitants of the Panchayat area. 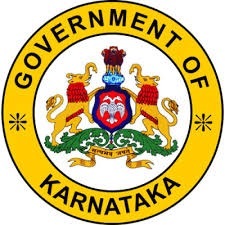 make contribution to any medical, educational or charitable institutions or any other institutions of public utility, within the Panchayat area which are registered under the Karnataka Societies Registration Act, 1961, Karnataka Co-operative Societies Act, 1959 or under any other law for the time being in force.